Japan is home to one of the biggest auto industries in the world, so it’s understandable why many automakers send special edition models to the Land of the Rising Sun. Recently, General Motors took its turn gifting Japanese customers with a special edition Chevrolet Corvette Grand Sport. The Vette is about as exclusive as they come, at least considering where it’s headed. The limited-run sports car is officially billed as the Grand Sport Admiral Blue Heritage Edition, and like most exclusive cars that come to Japan, it comes with some nifty features that underscore its status as a true special edition. 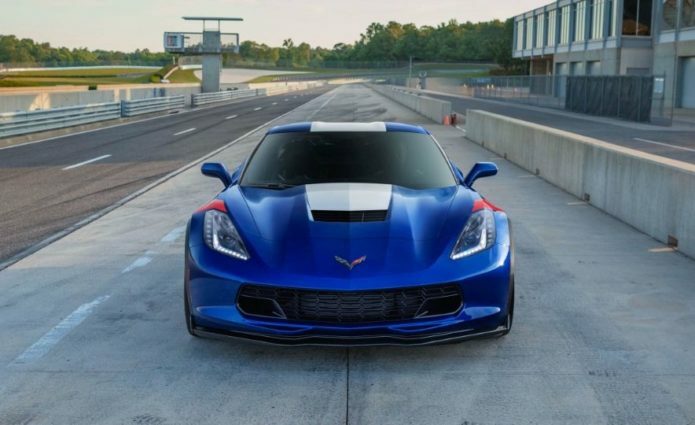 Needless to say, the Chevrolet Corvette Grand Sport Admiral Blue Heritage Edition isn’t going anywhere else in the world. In fact, even Japanese customers will have to fight over the special edition Corvette as reports indicate Chevrolet will only send over five units, each priced at ¥12.8 million. That converts to roughly $115,000 based on current exchange rates. By comparison, the Corvette Grand Sport starts at $66,445 here in the U.S., so Japanese customers will have to fork over nearly double to get their hands on one. Then again, it is an exclusive Corvette Grand Sport with unique details in the exterior and interior. Having a chance to own one means paying a premium for that opportunity.